In no society on Earth was there such a ferocious attempt to eradicate all trace of religion as in modern China. But now, following a century of violent antireligious campaigns, China is awash with new temples, churches, and mosques - as well as cults, sects, and politicians trying to harness religion for their own ends. Driving this explosion of faith is uncertainty - over what it means to be Chinese, and how to live an ethical life in a country that discarded traditional morality and is still searching for new guideposts. The Souls of China is the result of some fifteen years of studying and travelling around China. The message of Ian Johnson's extraordinary book is that China is now experiencing a 'Great Awakening' on a vast scale. Everywhere long-suppressed religions are rebuilding, often in new forms, and reshaping the values and behaviours of entire communities. 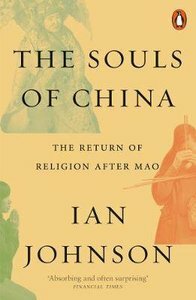 About "The Souls of China: The Return of Religion After Mao"